Sophisticated gas detectors are helping a pharmaceutical manufacturer measure precise thickness of coatings on drug tablets. The sensitive detectors – manufactured by Minneapolis-based Sensor Electronics – monitor concentrations of ethanol leaving the coating machines. 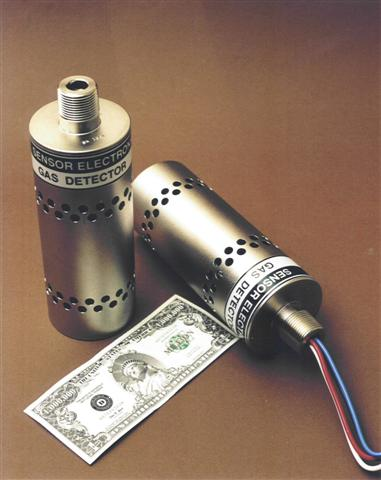 Prime purpose of the detectors is to provide protection for plant personnel, stresses production engineer John Levasseaur at Paddock Laboratories in suburban Minneapolis. But use of the detectors to monitor coating thickness is especially intriguing. The tablet bases are fed into a tumbler twirling much like a conventional clothes dryer. A microscopic feeder tube mists a coating of color tint, smoother (for easier swallowing) and even a drug itself, all using ethanol as the carrier. Depending on the coating, the tablets rotate in the tumbler from 30 minutes up to four hours. Along with the rate of ethanol dispersion, the process is also closely temperature and humidity controlled. Ethanol measurements are made in the exhaust system, based on proportion percentages. 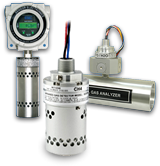 If the gas levels approach the LEL (lower explosion level) the detector triggers alarms to warn personnel. If readings go above the LEL, the system automatically turns on exhaust fans to evacuate the fill room. In effect, monitoring the ethanol in the exhaust duct means the sensors are also measuring the thickness of the coating on the pills. If the ethanol levels increase, this means the coating is too thick, and the spray mist can be decreased. Tints can be white or color: Trade names can be printed on later. When drugs are fed into the ethanol stream, the basic pill is essentially a placebo. Paddock Laboratories was founded some 30 years ago by a druggist tired of mixing medicines in small quantities for individual customers. Reasoning that other pharmacists probably felt the same way, Paddock set up a small laboratory to prepare such common nostrums, offering them at low cost from a reliable supplier. From that small start Paddock has mushroomed to more than $150 million annual sales to some individual drugstores plus drug distributors, chain stores, big-box retailers and mass marketers primarily in the U.S. and Canada. The company concentrates on the generic drugs, targeting on niche markets. "For example," says Levasseaur, "we don’t try to copy large-selling drugs as, say, Lipitor. When the patent on Lipitor expires, every generic drug manufacturer in the whole world will be coming out with a replacement. Competition will go up, volume will go up, prices will go down, profits will go down. "We don’t want to get into that battle. Instead we look for proprietary drugs with patents about to expire – drugs with a low volume, but with a good profit profile. If we can duplicate that drug at an advantageous cost, we will consider going in. "Timing is critical. You want to be first with an approved generic, because with that FDA approval comes a 30-month FDA exclusive. This gives us – or any drug manufacturer – 30 months to cement our reliability – and our relationship – with our customers. "But with any generic drug – or any drug, for that matter – reliability is critical, is the key. Closely monitoring ethanol levels on our tablet coatings helps us assure reliability."